HiFiMan, has just announced a new in-ear monitor that has been specifically designed for audiophiles on the go. 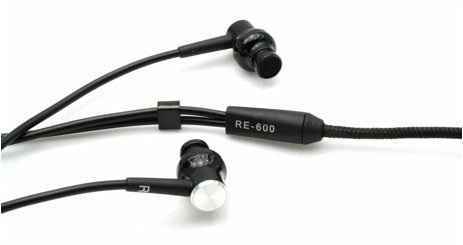 The RE-600 “Songbird” is the company’s highest performing in-ear model to date. The new Songbird in-ear model was developed over a multi-year project and intended to offer a higher level of performance and comfort for the category. The Songbird benefits from an advanced ergonomic design and all-new, custom-designed patent-pending drivers that use a titanium coating for greater detail and frequency response. Neodymium magnets and premium silver-copper cabling on the RE-600 helps ensure performance. •Advanced Ergonomics – superb fit and comfort in a compact size. •8.5mm Titanium Coated Drivers Custom-Designed and Manufactured by HiFiMAN. Driver is Patent-Pending. •Neodymium Magnets – high output yet small and lightweight.